I don’t have enough words to thank Katy and Haydn of course! For helping me become what I am today in my fitness journey. I started getting into fitness when I was in high school I ran, lifted weights, hanged out with the guys in the football team because all they did was lift weights. So I thought that I was healthy already. But I was so wrong! Until I came across Katy’s Instagram and followed her progress I was always shy and indecisive when i first wanted to train with her I didn’t have the guts to do it I thought to myself that I was skinny and healthy but I was still unhappy with myself. 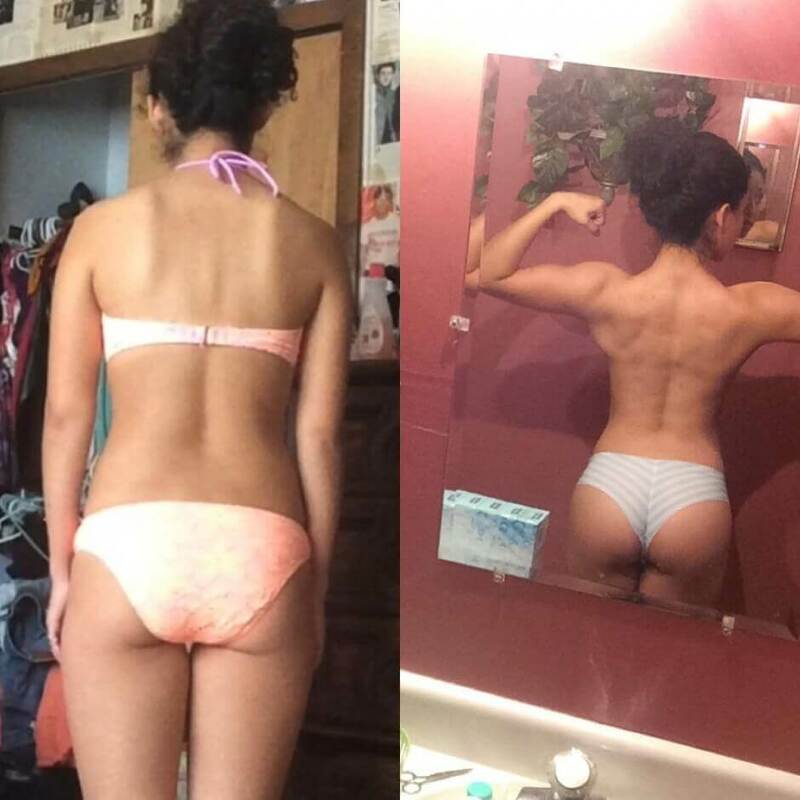 I purchased one of her 8 week programs and it was the best decision I had made! I was am confident to go to the gym because Katy had sent me a routine I could follow everyday. I didn’t have to go to the gym and do cardio and legs everyday (honestly that’s what I did!). After I got more confident into what I was doing I have purchased her spring, fall, and winter challenges! They are definitely worth it! You get to meet so many amazing people that motivate you, push you, give you advice when you feel like giving up! Katy has shaped me into the person I want to be in fitness and has showed me more discipline in taking care of my body than I ever knew was possible. I thank her everyday when I workout and push myself to be the best!